Mad Mix | Are You Zhazha? Like many young guys wooing a girl in the 90’s, Andrew knew the swoon power of a good mix tape. The first one he ever made me arrived in my dorm room mail – along with a catalog for BMG CD’s and a deal for a long distance phone card. It was 1996. I was a freshman at West Virginia University while he was a junior eight hours away at West Point. I thought it was the best mix tape I ever received. Not only did HE make it for me, it held some of the most heartfelt and rockin’ songs – especially since we were just friends “with potential” (Who knows that movie?!) at the time. At least, I thought it was the best mix. My feelings about that tape would all change a few years later when (after successfully winning me over — with mix tapes of course) I was helping him pack up his things before he moved to Georgia to start his Army career. I’ll get back to that in a paragraph or two, but first I need to tell you about what would become my most favorite mix tape of all. We never really did become a couple that year. He came to visit me at college once and we both had a wonderful time but my heart wasn’t quite able/ready/sure of itself to be fully his then. 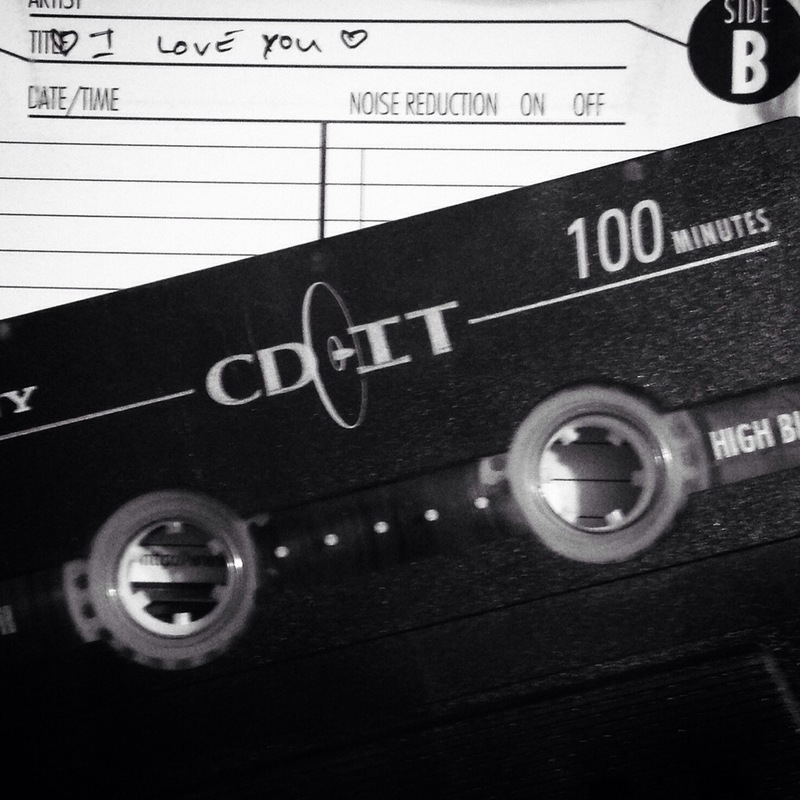 If Facebook existed at the time, I would’ve been guilty of “It’s complicated.” Because of that and the cold way I acted toward him, I received what I have since dubbed the “I Hate You” mix tape. It was filled with songs of agony and heartache and anger. It made me roll my eyes and huff and puff when it was first sent to me because I knew I was wrong. He now tells me he borrowed the CD’s of friends to make it because he needed to have just the right songs. He must have forgiven me and I must have made the right choice because here we are now, about to hit our 14th wedding anniversary. Even after all that AND it turns out that the first mix tape was actually not the first mix. You see, when helping him pack, I discovered his song list on an index card and that he had made that same mix tape for another girl before me. That’s why I really love that Mad Mix. It’s all mine. I earned it. And, as he would say, it worked. The great mix tape of my first marriage was the CHB mix. Cold Hearted B!tch. I loved that tape, and yeah, I earned it.